When only the best will do! This striking arrangement of seasonal flowers in pale pinks and whites will make for a beautiful and long lasting Mothers Day gift. 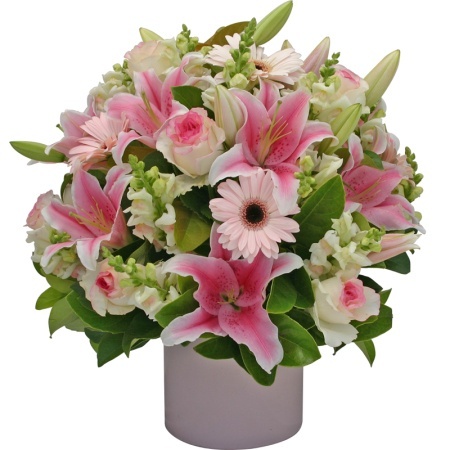 Presented as a ceramic pot arrangement is a lovely full floral display of soft pinks, mid pinks and whites, using oriental lily blooms, verigated roses, and snap dragons.